Astircare. 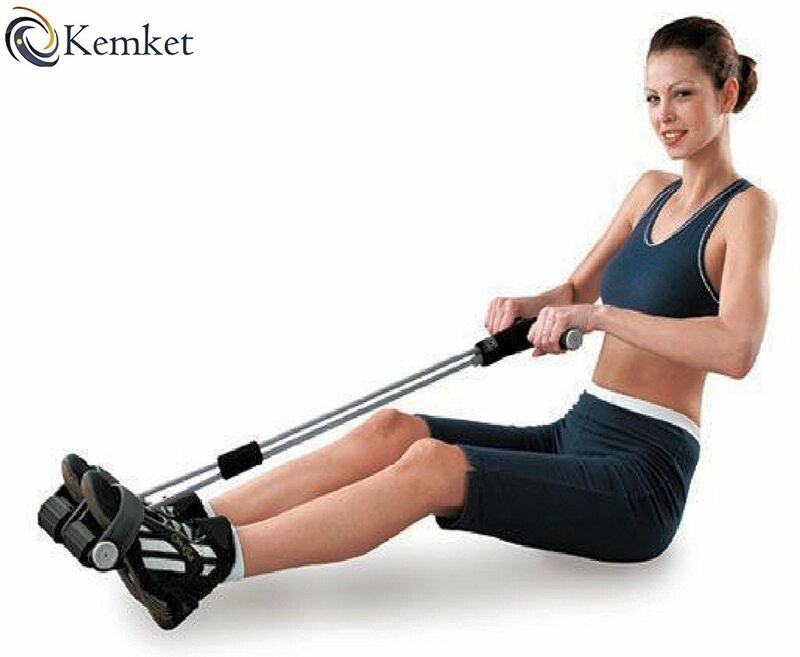 Kemket Flexi Rod or Power Twister for Shoulder Arms and Heavy Duty Spring, Adjustable Hand Grip Exerciser, Chest Expander Hand Gripper 5 Springs Muscle Pull Exerciser Training Multi-Function, Skipping Rope Fitness Speed rope for Exercise Gym Jumping Workout. Waist Twister Disc Without Ropes Foot Massager Stepper wriggled plate, Foot Pedal Arm Tummy Stretching Pull up Spring Expander. Kemket Flexi Rod or Power Twister for Shoulder Arms and Heavy Duty Spring, Adjustable Hand Grip Exerciser, Chest Expander Hand Gripper 5 Springs Muscle Pull Exerciser Training Multi-Function, Skipping Rope Fitness Speed rope for Exercise Gym Jumping Workout. 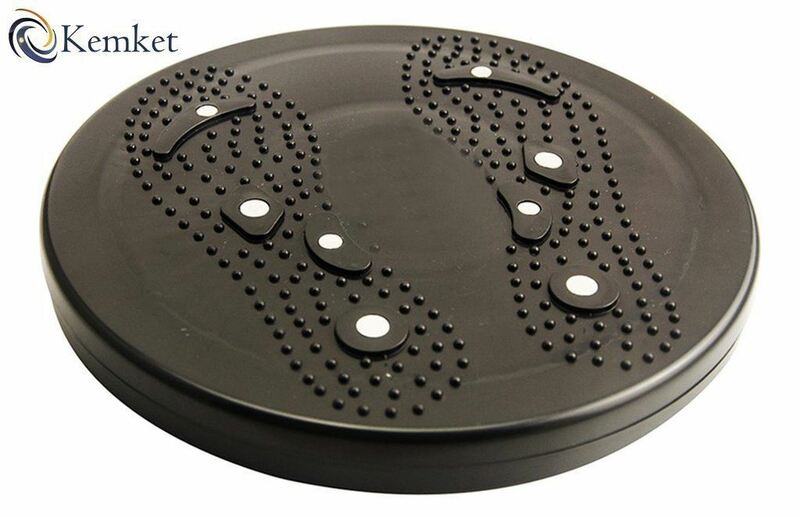 Waist Twister Disc Without Ropes Foot Massager Stepper wriggled plate, Foot Pedal Arm Tummy Stretching Pull up Spring Expander. Pedal Arm Expander:- Portable and light weight‎,‎ can be used anywhere anytime‎.‎ Firms chests and arms. Tightens hips and thighs. Ideal for toning & strengthening stomach, waist and legs, arms, hips, thighs and works on the tummy at the same time. 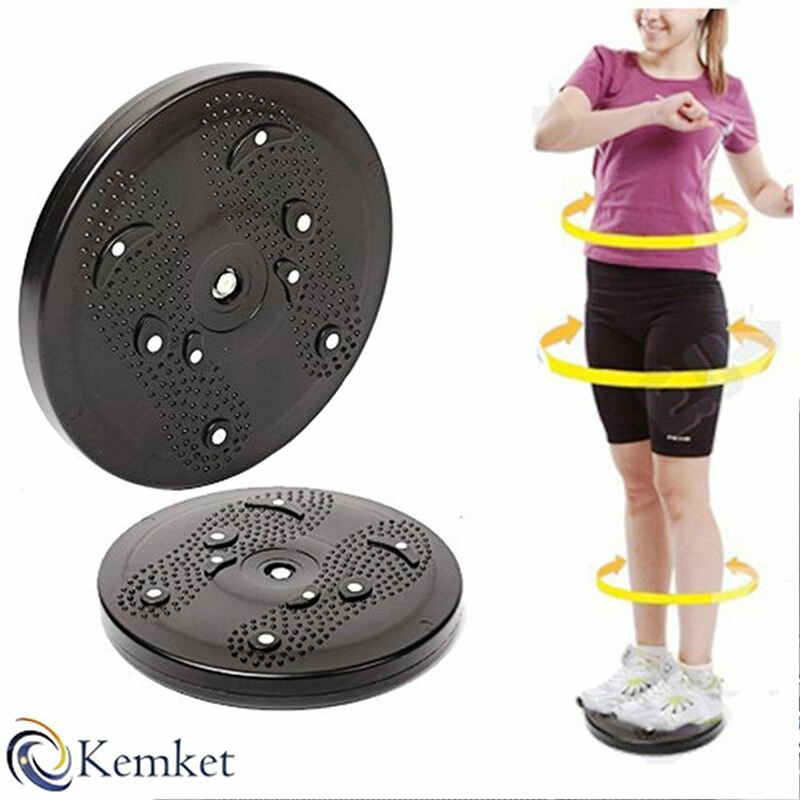 Waist Twister Disc:- It can help improve the wry of your hip bone, adjust the balance of muscles around the waist, then compacts muscles in your waist and hip. The ergonomic design is beneficial to health. This exercise system has a low impact on joints, making it ideal for all ages. High level waist twisting device. Benefits of flexi bar workout. Benefits of flexi bar workout include increase in strength of your joint stabilizers and core muscles. This in turn improves joint health and the integrity of your spine, thereby improving your posture, your movement quality and prevents injuries. Chest Expander:- You can use the chest expander to increase the size of your chest muscles. To work the chest muscles you can hold the chest expander in front of your body with one hand holding each end. You should bend your elbows and point them downwards so your arms are close to your ribs. By pressing your arms straight outwards to your sides, you can activate the muscles of your chest, called your pecks. Bending your elbows back down will complete one rep Hand Grip:- Hand grip exercises do a good job at strengthening your wrist, arms and corresponding muscles with time. If you do this in the gym, you get to see faster results since you're able to train with heavy weights. Jumping Rope:- Jumping rope is a great calorie-burner. You'd have to run an eight-minute mile to work off more calories than you'd burn jumping rope. It strengthens the upper and lower body and burns a lot of calories in a short time, but other considerations will determine if it's appropriate for an individual. Waist Twister Disc:- It can help improve the wry of your hip bone, adjust the balance of muscles around the waist, then compacts muscles in your waist and hip. The ergonomic design is beneficial to health. 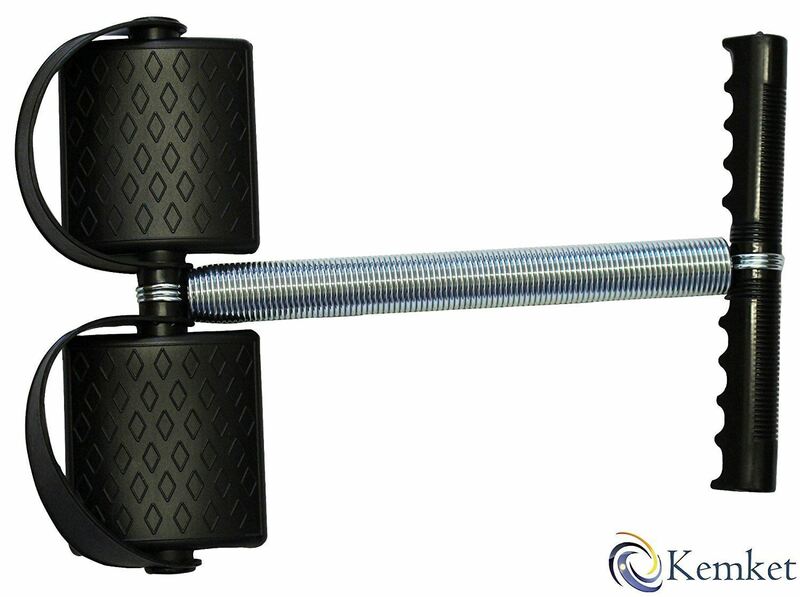 This exercise system has a low impact on joints, making it ideal for all ages. High level waist twisting device. Creates magnetic wave. Elegant & fashionable appearance. Safe and reliable in using, compact in structure. 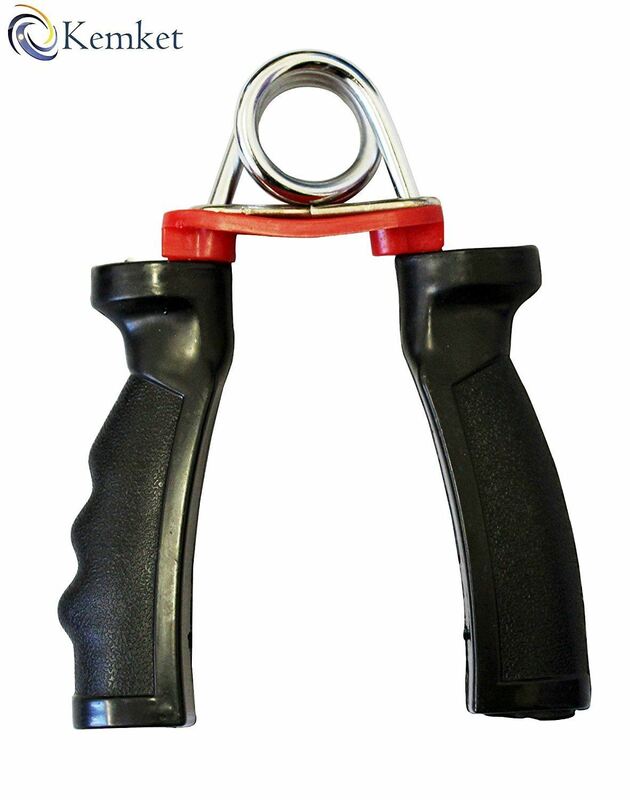 Hand Grip:- Great for improving grip strength, hand endurance, dexterity, muscular tone and fine and gross motor skills. 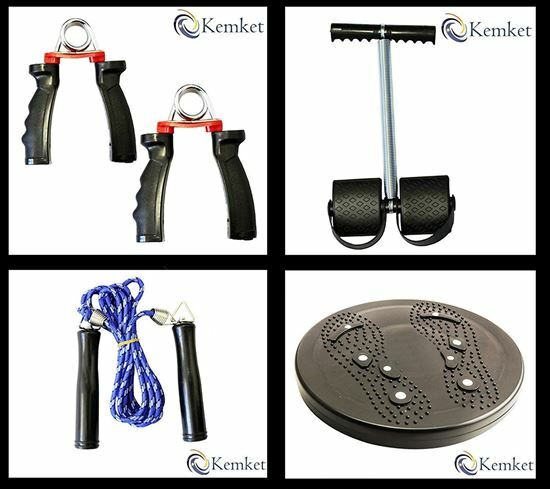 Effective tool for injury prevention, injury rehabilitation, improving sport performance, improving ability to perform everyday tasks and for stress relief. Package List: 2 x Hand Grip. 1 x Jumping Rope. 1 x Pedal Arm Expander. 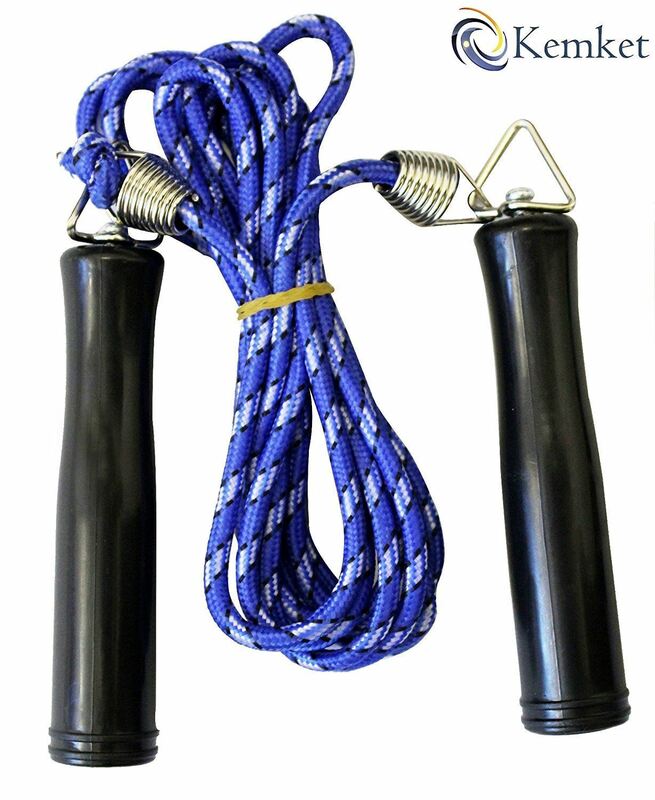 1 x Waist Twister Disc. .
Skipping Rope:- Comfortable and easy to hold. Rope length can be adjusted according to your height. Tough and durable, ideal for sports training and fitness exercise.